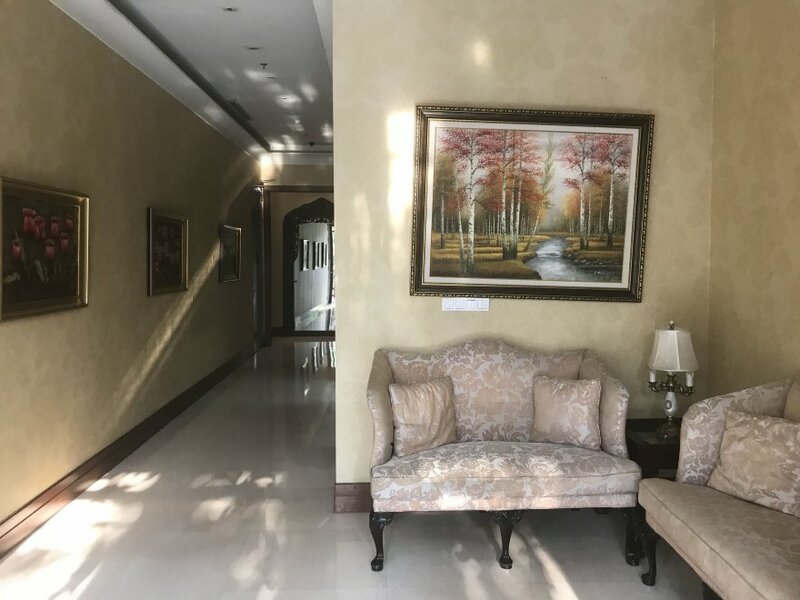 Cik Ditiro Residence is an upscale residential tower with 36 units on 9 floors. 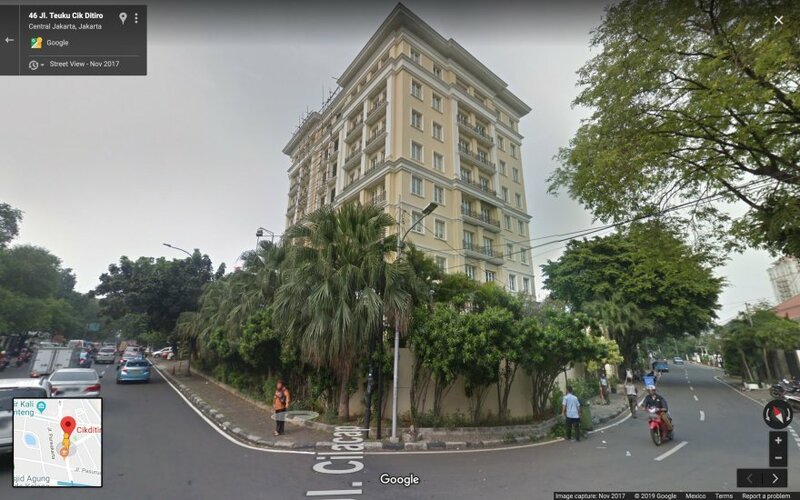 Completed in 2011 in the district of Menteng, it was developed by the group Duta Anggada. 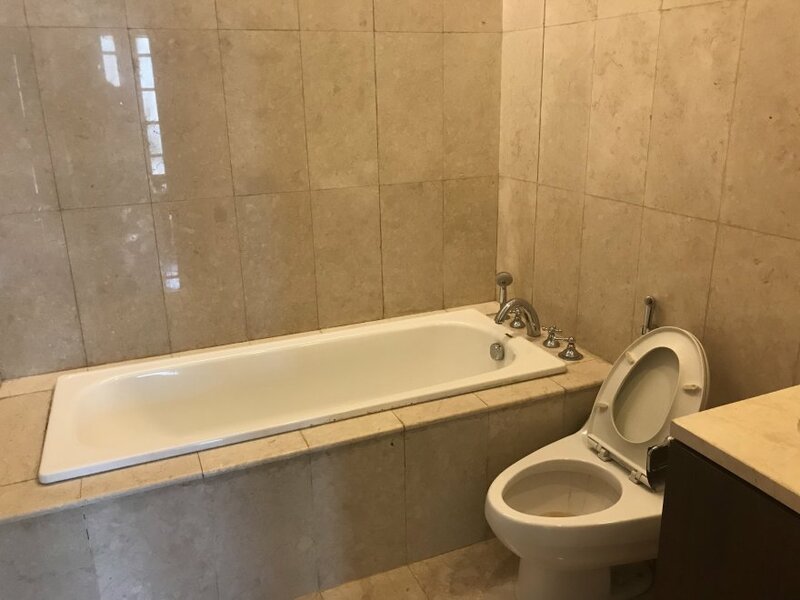 I visited this property with an agent and this is my complete review of it. 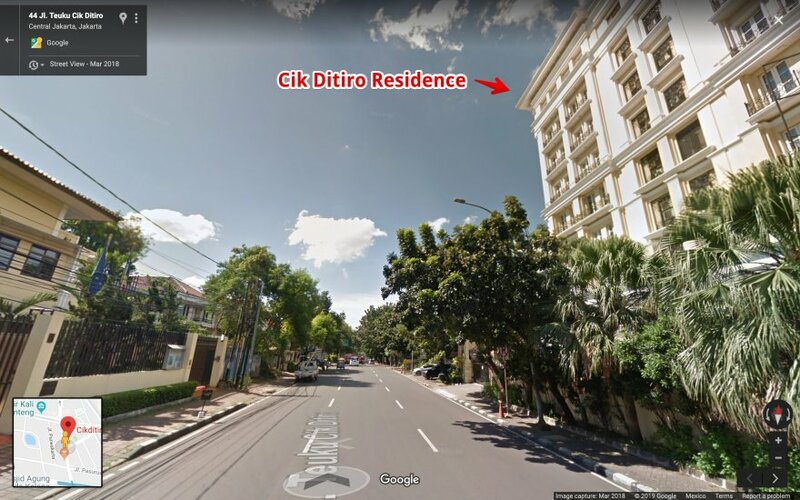 In which neighborhood of Jakarta is Cik Ditiro Residence located? 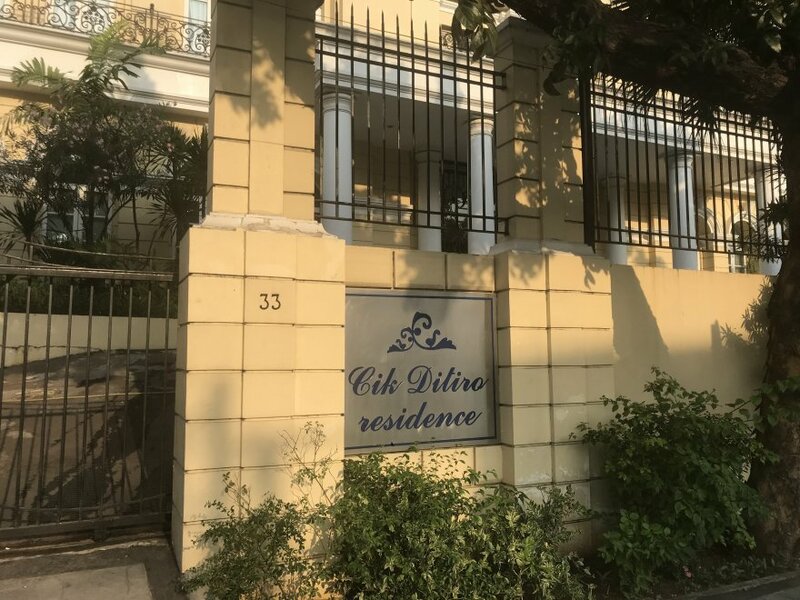 Cik Ditiro Residence is in Menteng, one of the most prestigious districts in Jakarta. This is where “old money” Indonesians live, meaning those who have been rich for several generations. Among them, many high-ranking officials in the government or in the army. It is also a popular area for expatriates, especially the ones working for embassies (many are nearby). 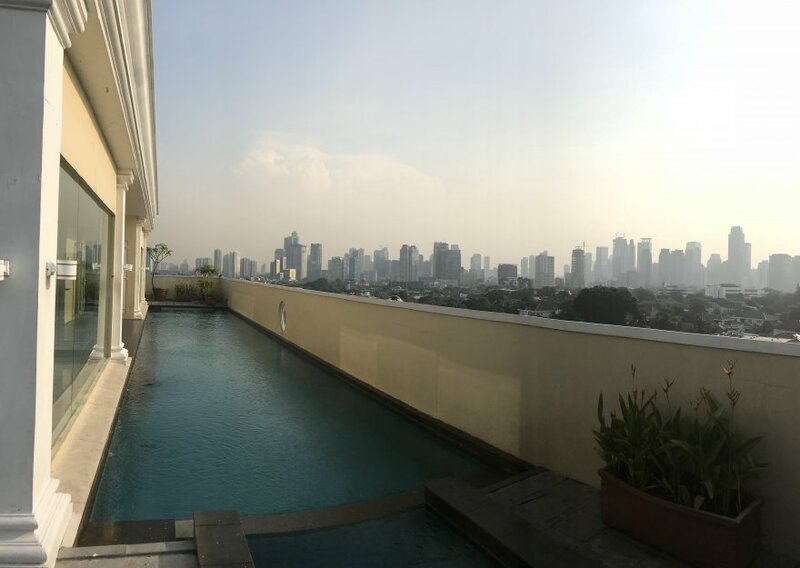 Menteng is a rather flat neighborhood, with only a few high-rise buildings. It also doesn’t have too many large roads. This gives the whole neighborhood a more authentic vibe, almost like living in a small village. Personally, that’s my favorite district to live in Jakarta. 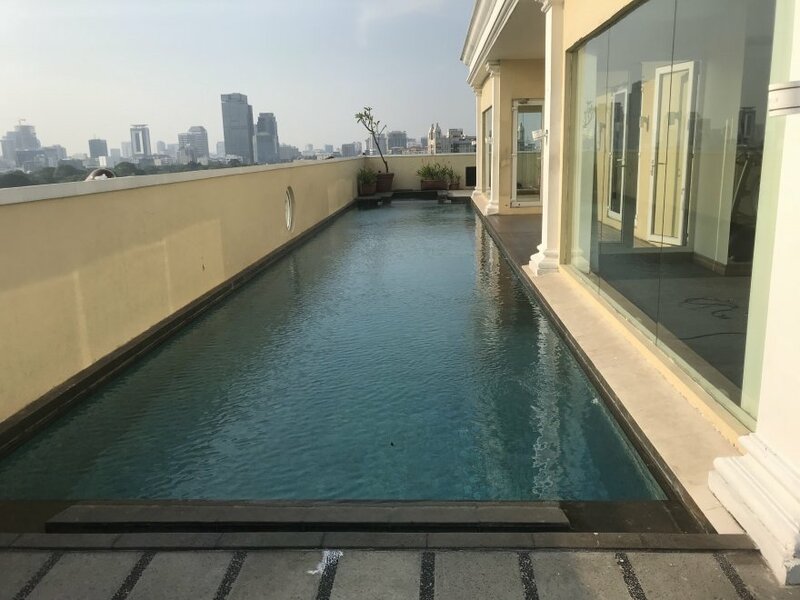 In terms of location, Menteng is interesting if you work in Jalan Rasuna Said, Jalan Thamrin, or the northern part of Jalan Sudirman. 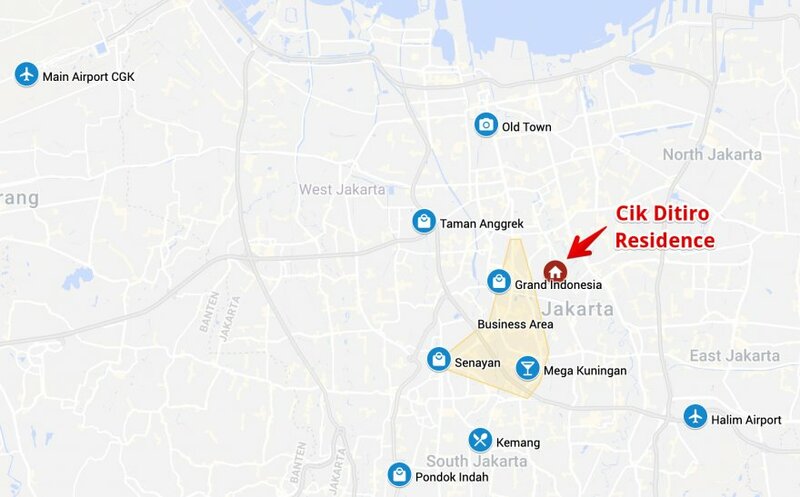 If you work in Senayan or SCBD, it may be a little bit too far and I’d recommend choosing an apartment in Kebayoran Baru or Senopati instead. In about 15 minutes, you can reach Grand Indonesia, one of the largest upscale malls in Jakarta. It has pretty much anything you may need, including 2 supermarkets, a huge cinema and 3 department stores (Sogo, Seibu, Central). It is also a popular hangout spot with plenty of coffee shops, restaurants, and bars. Opposite Grand Indonesia, Plaza Indonesia is another option, more luxurious. Hero Gondangdia is the nearest supermarket, about 800 meters away. It isn’t very big, though, and quite expensive. An alternative is the Carrefour in Menteng Prada, about 1 km away. If you want more choice of imported and fresh products, I recommend going to Foodhall in Plaza Indonesia or Ranch Market in Grand Indonesia. 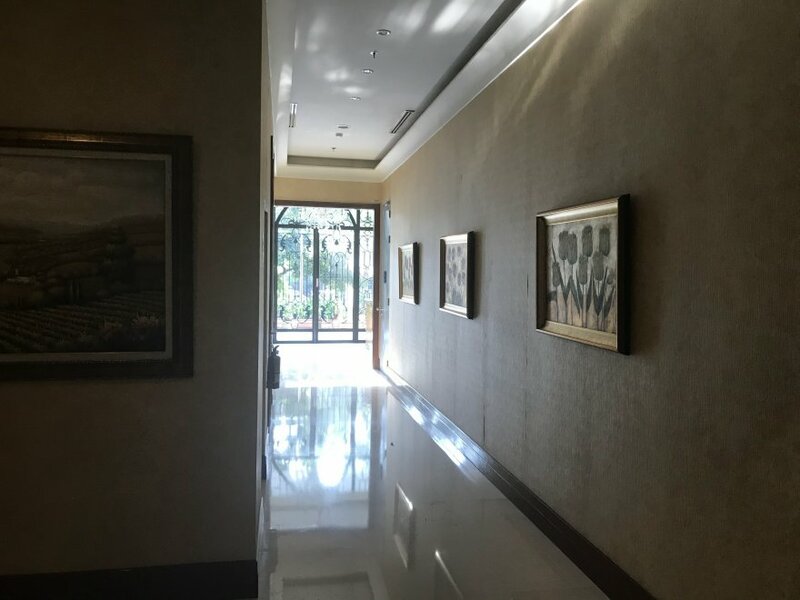 Menteng has many good restaurants, some of which are walking distance from Cik Ditiro Residence like Bunga Rampai or Lara Djonggrang. There are also some trendy eateries and coffee shops in the hipster complex Shophaus (5 minutes by foot). Menteng is not a nightlife area, but it has a very crowded student bar called Camden. For better nightlife, you can go near Bunderan HI (Skye, Cloud) or to Mega Kuningan. Some of the best high-schools in Jakarta are located near Menteng, particularly Kanisius, Santa Ursula, Santa Theresia, SMAN 68, and Penabur. 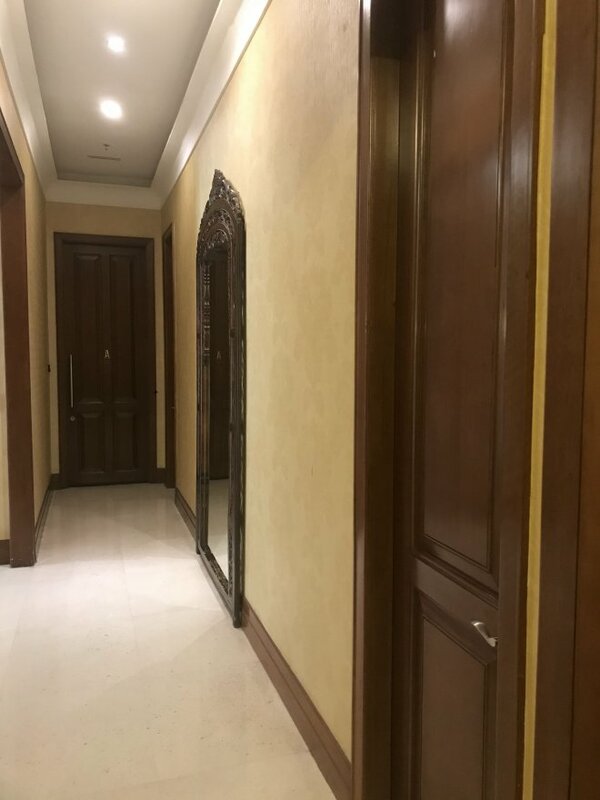 Cik Ditiro was built by Duta Anggada, a property developer which is also behind Citylofts Sudirman, Citywalk Mall, Bapindo Plaza, Holiday Inn Gajah Mada, Pavilion Apartments, La Maison Barito, and Chase Plaza. It was designed by the architectural consultant Airmas Asri. 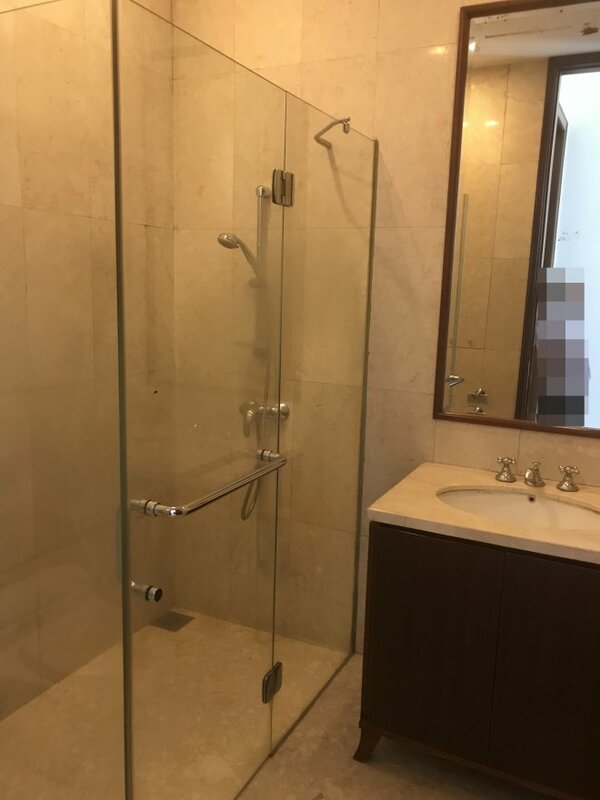 This firm has a fairly good reputation in Indonesia and it has won many awards. 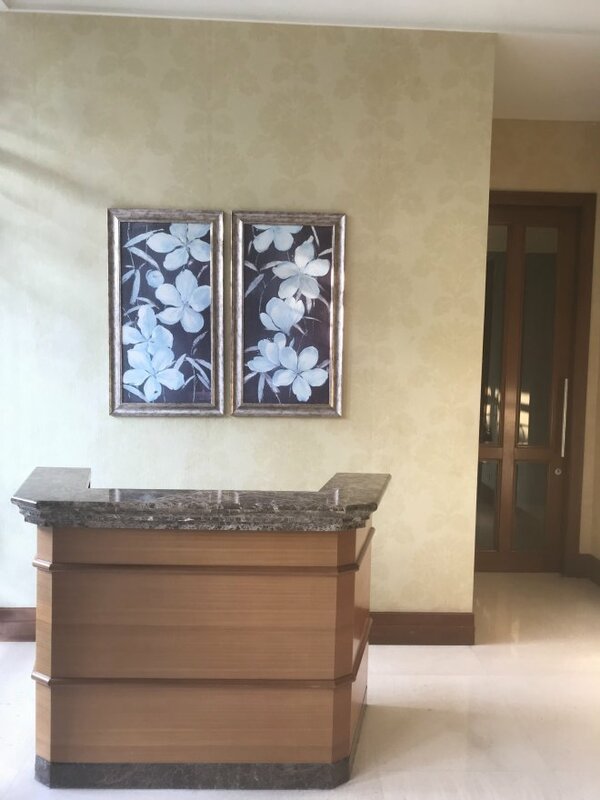 Some of their other projects are The Capital Residence, District 8, Residence 8, The Pakubuwono View and The Pakubuwono Signature. 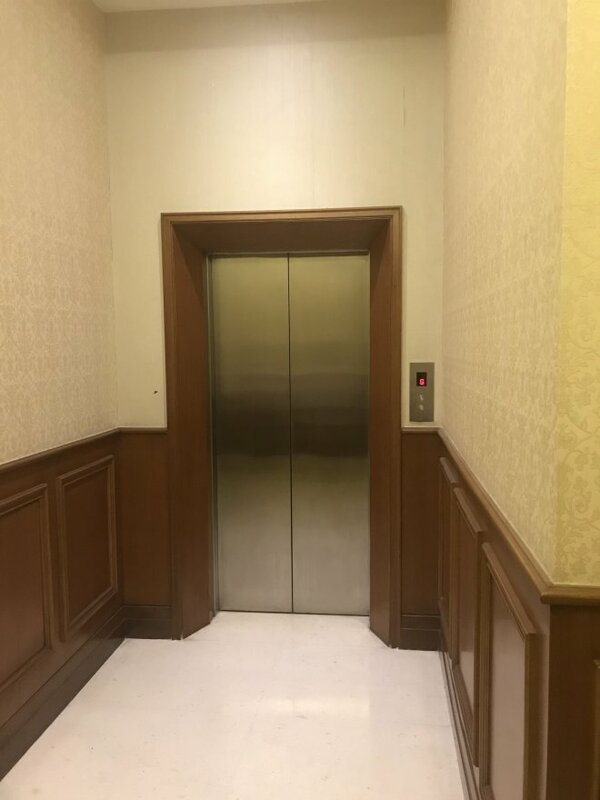 The contractor was PT Arkonin, a mid-size firm that also built the Alamanda tower in Cilandak and the Citylofts in Sudirman. – Swimming pool: Very narrow and not long enough for real swimmers. 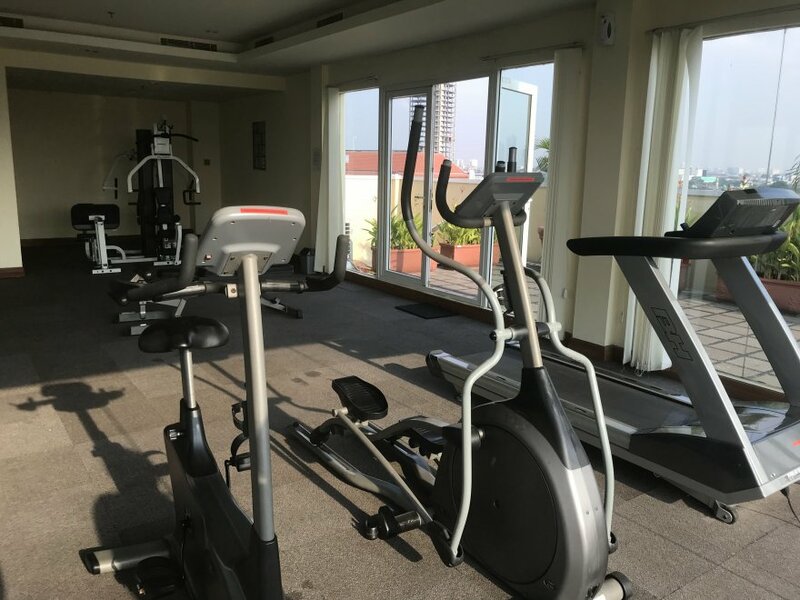 – Gym: Average quality equipment and no free weights. Not really. 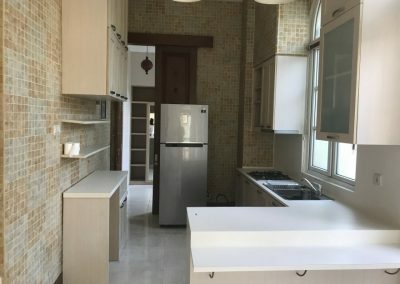 This is a boutique property with very few units. I didn’t think it was. Menteng is a relatively quiet neighborhood (for Jakarta standards). 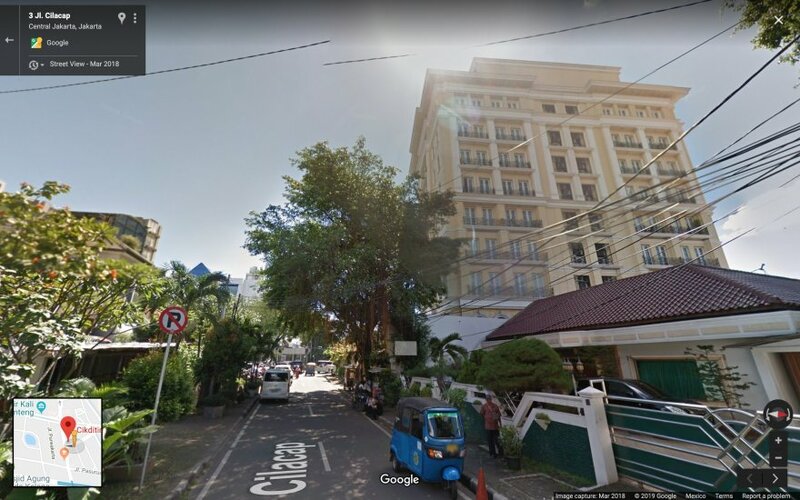 The residents are a mix of Indonesians and expats working in nearby embassies. Only one. It’s a bit slow. – Guards: On duty at the gate. – CCTV cameras: I didn’t see any. – Access: No access card needed. 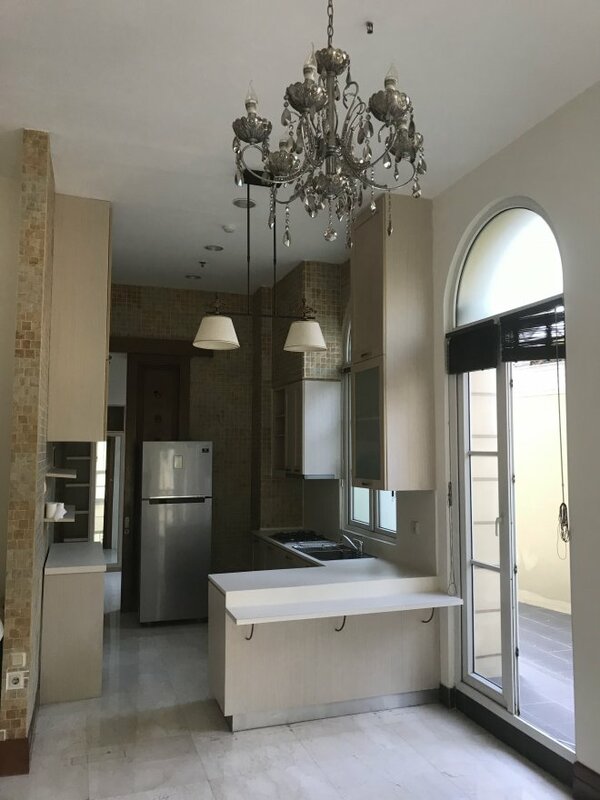 There are also 1-bedroom units available (48m2 and 88m2). 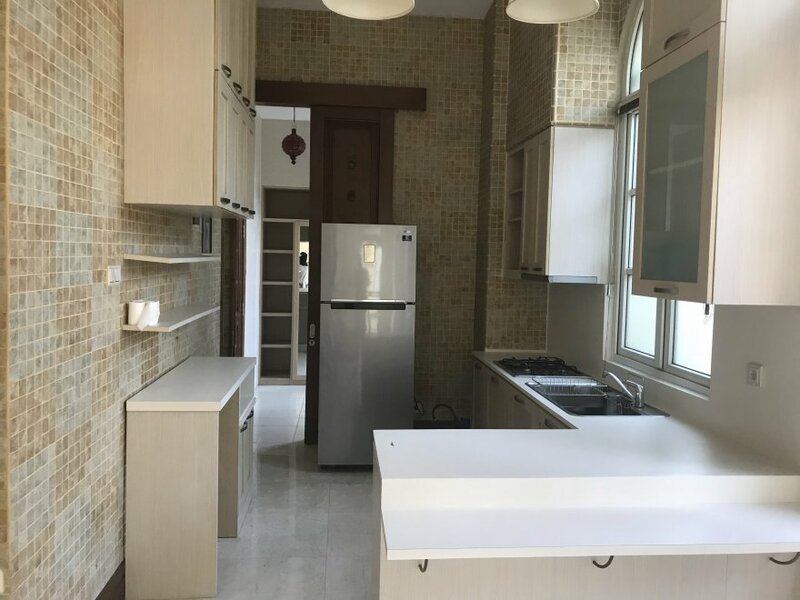 - Excellent neighborhood, still authentic yet within 15-20 minutes from the business district. 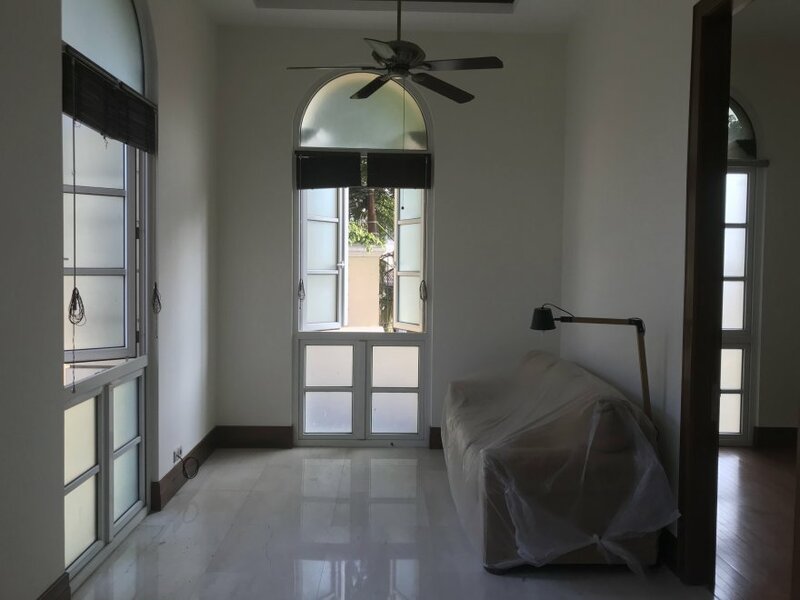 - Boutique property with a classic design. - Overpriced in my opinion. - Poor facilities, especially considering the price. - The building already feel old and many units need to be refurbished.